Plebella 10 is out in our 3rd year. 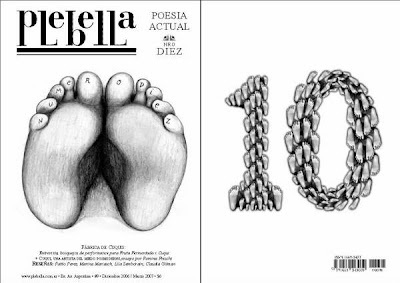 Plebella is a poetry review of Argentina, produced by artists. In this unique number 10, we have articles specially written for the ocasion by Diana Aisenberg, Carlos Battilana, Emiliano Bustos, Cuqui, Sergio De Matteo, Mariano Ducrós, Roberto Echavarren, Mercedes Gómez de la Cruz, Julieta Lerman, Karina Macció, Anahí Mallol, Elizabeth Neira, Victoria Schcolnik and Alejo Steimberg. There are also interviews with Deborah Meadows (USA) and Mauro Faccioni Filho (Brasil), who visited Buenos Aires, last year. We include their poems translated to Spanish. We also count with an article by Martin De Souza introducing En el corazón de las orillas, a book that compiles the works of poets from the literary workshops in mental health Hospital Borda. Please, send this information to your friends and colleagues. 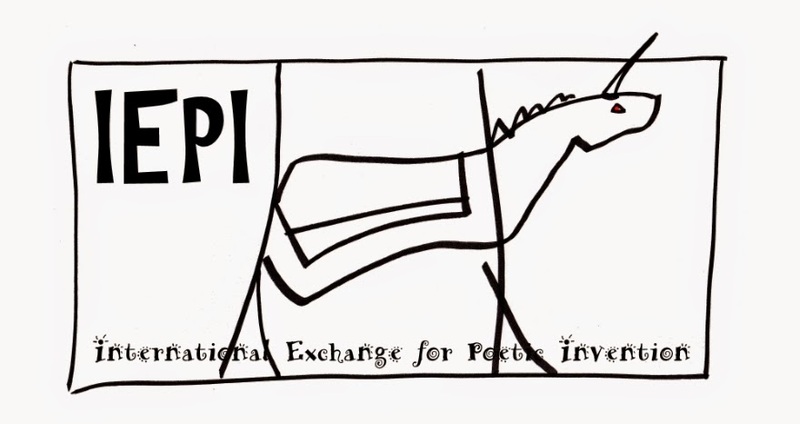 Here's another very elegant Latin American print journal worth checking out. I'm partial, being on the editorial board, but Mar con Soroche, a joint Bolivian/Chilean production with decidedly innovative push (it is associated with Intemperie Editions, one of the cutting-edge publishers of the continent), is without question one of the most interesting literary magazines on the continent. Here is the link to the most recent issue [#3]. The first two issues are also available on PDF. "...is without question one of the most interesting literary magazines on the continent." A bit of self-correction: More helpful to say, with more specificity, "without question one of the most interesting literary magazines in the Andean region." There is so much amazing recent literature in Latin America that "continental" claims about what is "most interesting" are a bit silly, truth be told.